Music Centeral is a group of local people whose aim is to bring a wide range of musicians to Huntly and district to perform several concerts each year. 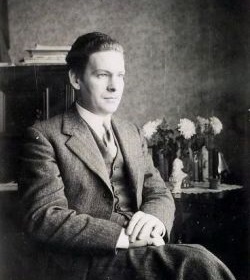 Music Centeral was formed in 2008 in response to the great success of a weekend celebration of the life and works of the composer Ronald Center (1913–1973) organised by Deveron Arts that year. This included the first performance of Center's String Quartet No. 2 by the Isla Quartet and the release of the CD Center of Huntly. In 2013, the 100th anniversary of Ronald Center's birth was celebrated in a series of concerts that included the first complete performance of Center's String Quartet No. 3, also by the Isla Quartet. Ronald Center (1913–1973) was born in Aberdeen, where he studied piano with Julian Rosetti and organ with Willan Swainson and worked as a soloist, accompanist, teacher, church organist and choral conductor. He moved to Huntly in 1943 with his wife Evelyn, a distinguished soprano, and taught music in the Gordon Schools for six years before devoting himself to composition and private tuition. Many of his works have been broadcast and recorded, notably the symphonic poem The Coming of Cuchulain in 1944. The String Quartet No. 1 was recorded by the Saltire Quartet in 1995, and the Isla Quartet recorded and played the Second Quartet in Huntly in 2008. The String Quartet No. 3 in seven movements is perhaps Center's most radical piece. There was an incomplete performance in Bogotá in 1979, but the performance by the Isla Quartet in November 2013 was the first time the entire work had been heard.